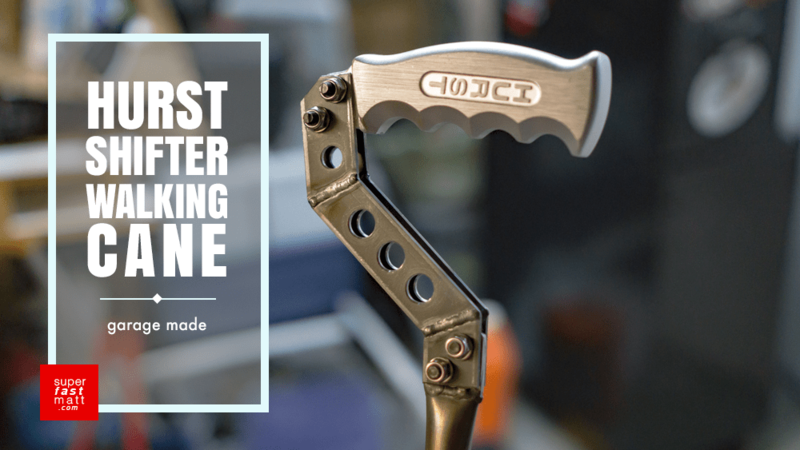 When confronted with the opportunity to buy something for twenty dollars, I always think “I bet I could build that for free,” and then proceed to spend a hundred dollars in tools so that I can build it for free. Then I spend twenty dollars on beer to celebrate the money I saved. So when my doctor said “You’ll need to buy a walking cane,” I thought, Buy? I have a pile of metal and a welder. So I bought twenty dollars of beer and got to work. Before getting started, I needed to find some inspiration. A brief web search of canes confirms that cane users fall into one of two categories: Grandma, and Fedora Guy. Grandma has the aluminum adjustable cane with the four separate feet and, sometimes, tennis balls on the bottom. Fedora guy doesn’t need a cane any more than he needs a goblin holding a crystal ball, but for some reason has decided to purchase both of these items attached to each other. You know what, forget about getting ideas, let’s just see what I have in my garage. I have tubes of metal, sheets of metal, some nuts and bolts, and oh, what is this? 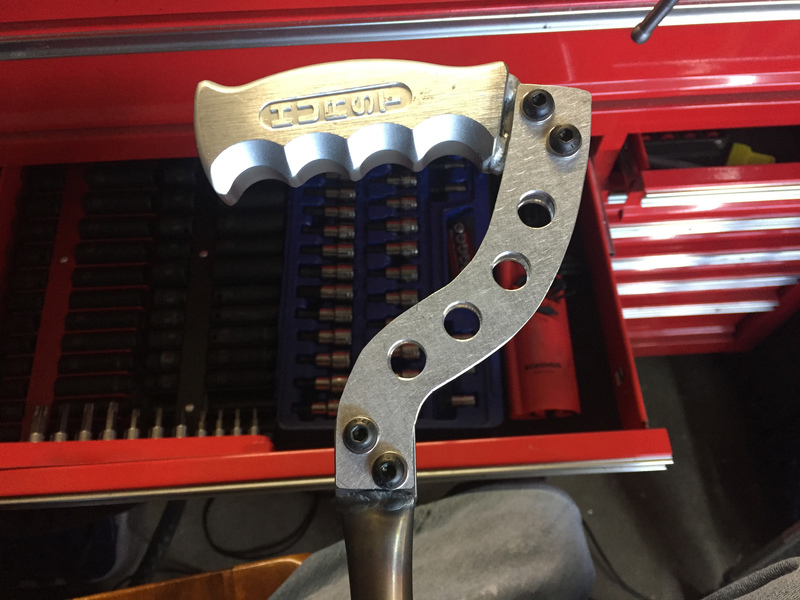 A Hurst pistol grip shift handle? Jackpot. Before getting started, I pulled up my CAD software and did a full 3D model and ran both a modal and non-linear Finite Element Analy— no not really, I just drew it on a piece of paper. The cane’s ability to not collapse under my weight is a function of intuition and a huge safety factor. After getting a design that I liked, the next step was to make a scale drawing and use it to trace out the metal to cut. 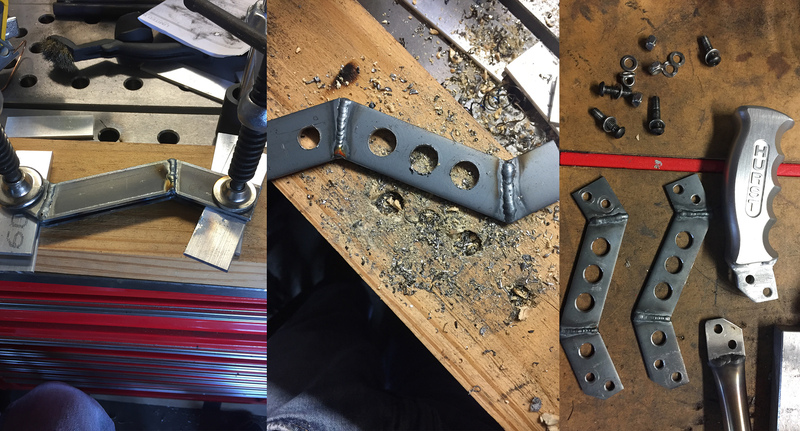 I needed to weld an aluminum extension onto the shifter handle, and a stainless extension onto the shaft, so I cut those out of some scrap metal I had. I used a bandsaw for the aluminum and a cutoff wheel for the stainless. You can see the scarp metal I used below the paper cutout. I did a rough cut, and then cleaned them up after they were welded to their respective pieces. After those were cut out, I mashed the tube with a vice, placing the extension I had just cut into the middle of the part I was squishing to prevent it from collapsing too far in like a figure eight. This was helped with a little propane torch heat which also gave it that nice color fade. Once that was flattened, I welded the extensions onto their respective parts and cleaned them up with a file. 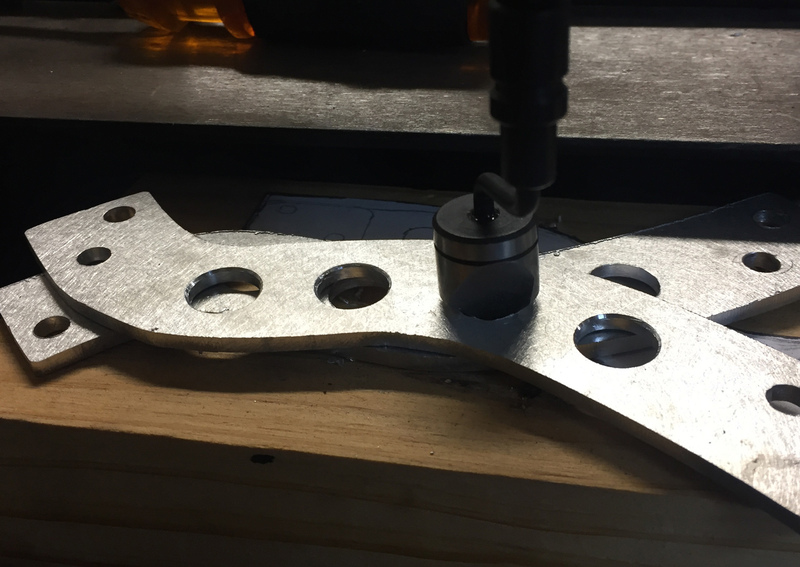 I went ahead and drilled 3/16″ holes in both pieces to later use as templates for the connecting metal piece. Whatever, I have a bandsaw. So I traced the paper template out onto some aluminum and bansawed out the pattern. Then I drilled the holes, and then used my favorite tool ever of the week to deburr the holes. I used sandpaper on the sides to clean away the bandsaw pattern and smooth out the corners. Once those pieces were made, it was just a matter of lining everything up, clamping it down, and drilling the holes for the fasteners. I just clamped everything together how I wanted it to look, and used the holes I drilled into the extension pieces to locate holes in the connecting pieces. I used a center punch, but it’s probably not required. just oversize the holes a little and it’ll fit! Once that was done, I bolted everything together, cut the shaft to the correct height, added the rubber bumper thing, and bam! Walking cane. You know what? I don’t love that. It’s too… Flowy? Swoopy? It needs more angles. More… Metal. Fortunately, I have more metal. Back to the drawing board. 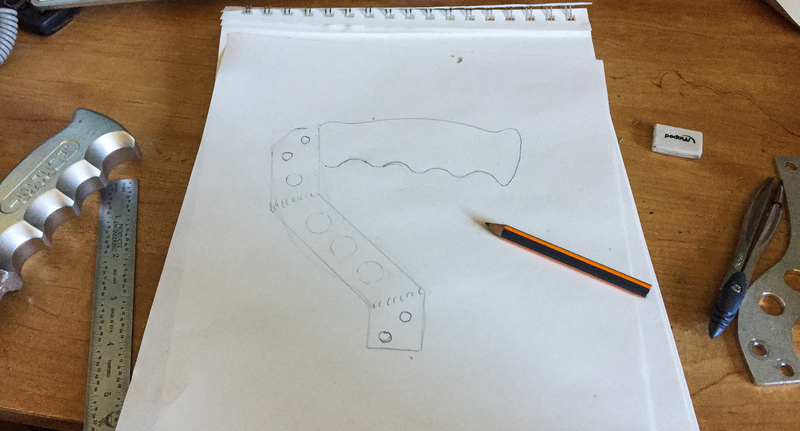 Once I had a good 1:1 drawing that I liked, I cut out the middle connecting piece and used it as a pattern to cut some 1” wide steel bar. I then welded the bar together, drilled the holes, and used my favorite tool ever of the week again. After that was done and cleaned up, I put the fasteners back in and bam! Walking cane. Hi There Matt. Is The cane helping? During my time at Waikato University in Hamilton New Zealand as Scientific Engineering Workshop manager I had close dealings with the Race car and solar powered vehicle research teams, the Guy’s were real characters.